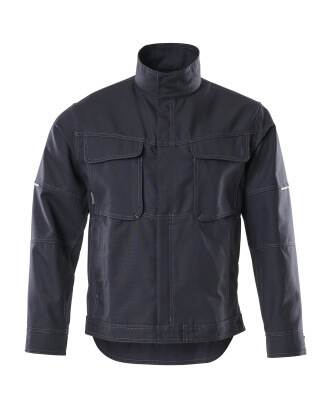 Protected zipped pocket under storm flap makes it easy to access contents without opening the jacket. Back piece is a little longer than the front piece. Light fabric. Triple stitched seams on sleeves, shoulders and at the sides. High collar. Fastening with zip, storm flap and hidden press studs. Extended back. Chest pockets with flap and hidden press studs. Front pockets. D-ring. Ergonomically shaped sleeves allows high freedom of movement. Zipped pocket under storm flap. Inner pockets. Waist with press stud adjustment. Cuffs with press stud fastening. Contrast stitching. Reflectors.